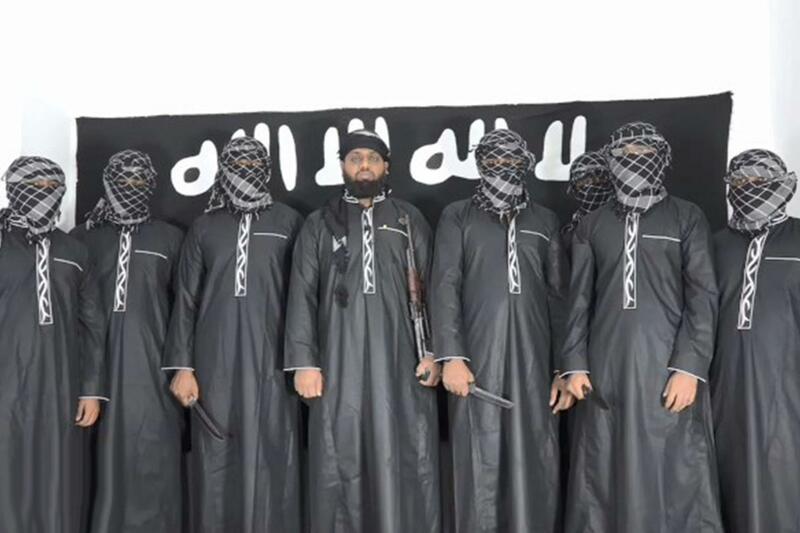 The Islamic state has declared themselves responsible for the easter attack on Christians in Sri Lanka this weekend which ended the lives of 321 people. 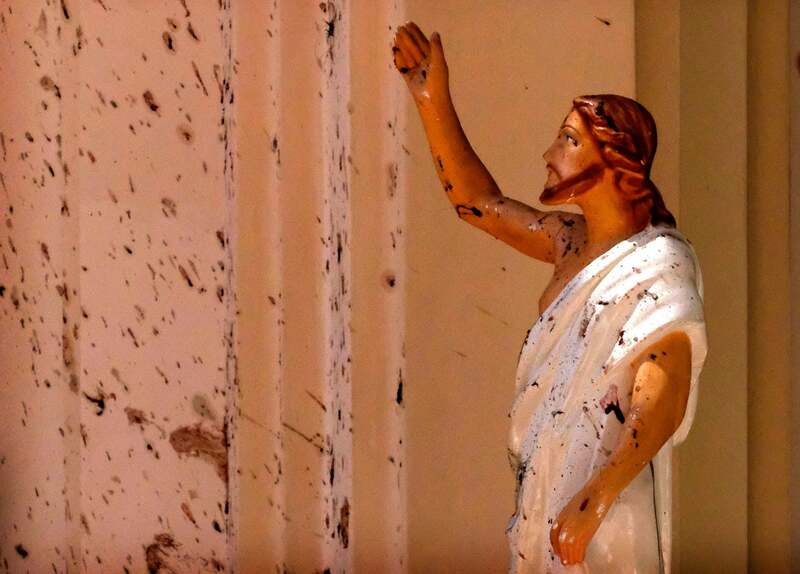 "The preliminary investigations have revealed that what happened in Sri Lanka was in retaliation for the attack against Muslims in Christchurch," state minister of defence Ruwan Wijewardene told parliament. In this video Dan Dicks of Press For Truth examines the escalating war between Christians and Muslims, where it’s stemming from and what the endgame agenda is while pointing the finger at the culprits who are orchestrating the entire thing…the state. CSIS And RCMP Complicit In Manufa..
Hip hip legends Sen Dog and B-Real of Cypress Hill took to the stage at Vancouver’s annual 420 event this weekend playing a set full of cannabis friendly tunes to thousands of happy viewers. Cypress Hill have been a hugely influential band who have used their fame as a way to raise awareness about cannabis prohibition and the need for legal access top medicine. In this video Dan Dicks of Press For Truth speaks with Sen Dog of Cypress Hill about the monopolization of the cannabis industry in Canada under the guise of “legalization”. They also discuss the current climate of censorship where alternative voices are being silenced by major tech companies who are anti free speech. It’s official…we have entered a technocratic tyrannical dictatorship where at the flip of a switch enemies of the state can be “shut down” at any given moment. Case in point Chase Bank just decided it no longer wants to do business with certain conservative leaning customers so without notice or explanation they pulled the plug on their accounts! Laura Loomer, Joe Biggs, Martina Markota and Enrique Tarrio have all been falsely lumped into the category of “alt right” and they are now suffering financially as a result by literally being cut off by the bank! In this video Dan Dicks and Leigh Stuart of Press For Truth explain how the term “alt right” has become a useful tool for the left and how shadow banning and censorship just took a major leap to a whole new level with Chas Bank financially cutting off individuals from society. How To Make Disciples of TRUTH In Th.. There is no denying that churches are being burned at record numbers in Europe in particular and it’s largely due to a rise in satanism as an ideology. Satanists have engaged in church burnings historically but in the 21st century their movement seems to be gaining traction. In this video Dan Dicks and Leigh Stuart of Press For Truth cover some of the latest stories that prove this is no conspiracy theory or childhood fun and games…spiritual warfare is indeed real and it’s now seems to be escalating in the build up to Good Friday and Easter long weekend. Want to come to the Red Pill Expo this June? Get your tickets here: https://.. The annual 420 global celebration is set to kick of this Saturday and Vancouver plans to outdo every other city involved when it comes to record attendance by booking the epically huge headlining band Cypress Hill! Not only is it the 25th anniversary of 420, it’s Easter weekend, it’s the first rally POST legalization and now with Cypress Hill on board this is sure to bet the biggest 420 event anyone has ever seen. But the city of Vancouver isn’t happy about this and they want it shut down! In this video Dan Dicks of Press For Truth speaks with his other half/fiancé Molly about what to be expected at this years 420 rally and more importantly why this should still be considered a protest even though cannabis has been “legalized” in Canada. Donate Other Cryptocurrencies ➜ https://pressfortruth.ca/top-stories/donate-crypto.. Tensions are brewing over transgender rights in the United States as the reality is now setting in that when it comes to young boys who claim to be girls and they enter a girls change room or bathroom it’s their right by LAW to do so. Last week at a Council Bluffs high school two groups of students walked out of Abraham Lincoln High to have their say on the use of the school's restrooms. About 20 girls protested the law stating that their privacy is being breached while twice that amount of counter protesters showed up to champion for the state to enforce it’s bias on these girls. In this video Dan Dicks of Press For Truth covers the latest escalation in the girl/boy washroom debate that has outraged a lot of logically thinking people who are fed up with a law that forces them to oblige and pander to the delusion of a mentally ill individual. The crash of the dollar is inevitable…anyone with a shred of understanding of economics can see that exorbitant printing and borrowing is inflating a bubble that must be popped! That part is clear to see…but what most people are not taking notice of is the fact that while this is happening the central banks are buying up gold at record numbers as a hedge for the coming crash! Gold dropped today to the lowest levels since April 5th now sitting at $1290 making this a perfect time to get in before the next major bull run. In this video Dan Dicks of Press For Truth speaks with Warwick Smith of American Pacific Mining Corp about the planned crash of the dollar, how the global elite are protecting themselves by storing up gold and why you should be doing the exact same thing! Bill 89 And Gender Identity For Children - What Is The World Coming To?! The Liberals are introducing a new provision that hopes to slow down so call “irregular” border crossings into Canada. The Trudeau government is proposing to prevent asylum seekers from making refugee claims in Canada if they have made similar claims in certain other countries, including the United States. This has refugee advocates and diehard promoters of #WelcomeToCanada up in arms. In this video Dan Dicks and Leigh Stuart of Press For Truth cover the latest virtue signalling that’s coming from the Liberal government as they attempt to save face on the immigration issue but as you’ll see it’ll all too little too late! Brooklyn's Williamsburg section (which covers 4 zip codes!) and they are now forcing it’s residence to get mandatory vaccinations or face a $1,000 fine. The declaration requires all unvaccinated people who may have been exposed to the virus to get the vaccine, including children over six months old. In this video Dan Dicks and Leigh Stuart of Press For Truth examine the insanely Draconian measures that the state is willing to take while also explaining where this “anti vax” movement came from and why it’s not going away anytime soon! In this video Dan Dicks of Press For Truth explains the significance of this epic migration and how it currently has the MSM and the major social media tech conglomerates shacking in their boots! So I Got A Letter From The RCMP About The Mosque Shooting…You Won’t Believe What They Have To Say!.. Quebec Terror Attack - What They're Not Telling You! Canda’s feminist Prime Minister Justin Trudeau has paved the way for LGBT rights with a focus in particular on trans peoples rights by ignoring reality and pandering to the delusions of his most loyal followers. There is a similar movement for trans rights taking place in the United States however some towns are pushing back and this week Alliance Defending Freedom (ADF) filed a powerful groundbreaking lawsuit against a local Ohio sexual orientation gender identity (SOGI) non-discrimination law that some say may become the most significant religious freedom case since Masterpiece Cakeshop v. Colorado Civil Rights Commission (2018). This lawsuit aims to protect a small Catholic school from stifling LGBT laws that cut to the heart of religious education. In this video Dan Dicks and Leigh Stuart of Press For Truth compare this ongoing case with what we’re seeing in Canada while answering the question, could this American case cause a ripple effect that will be felt and acted upon here in Canada when it comes to Bill C-16 and Bill 89? NEW: Subscribe to our newslette..
Canadian Doctors For Protection From Guns held nationwide events in Toronto, Montreal, Calgary, Ottawa and St. John's to call on the federal government to pass its gun control legislation, Bill C-71, which is currently before the Senate. The group also wants to see a national ban on private ownership of handguns and assault rifles, something Bill C-71 does not include. In this video Dan Dicks and Leigh Stuart of Press For Truth explain the issue with bill C-71, the reasons why they want to do this now and why all of it needs to be rejected lock stock and barrel! So Now “Toxic Masculinity” Is THE CAUSE of Climate Change??! Brace Yourselves For An Epic Facepalm..
It’s been said that climate change is man made but did they literally mean it’s caused by “men”? According to the research of Dr. Aaron Brough of Utah State University that is indeed that case! The study suggests that both men and women associated doing something good for the environment with being “more feminine.” And when men’s gender identity was threatened, they tried to reassert their masculinity through environmentally damaging choices. In this video Dan Dicks and Leigh Stuart of Press For Truth examine Dr. Brough’s findings and utterly debunk this ridiculous conspiracy theory. Julian Assange of Wikileaks has been arrested this morning after being granted asylum in the Ecuador embassy for the past 7 years, he is now facing being extradited as well as serious charges for his role in releasing classified documents that exposed corruption within the US military. In this live broadcast Dan Dicks and Leigh Stuart of Press For Truth cover the latest news on Assange and what this means for the freedom for the press. They also cover Canada's new asylum law changes, mandatory vaccines in NYC and a makeup company named Sephora that is promoting the idea that young boys should wear makeup to express their true identity. Get your digital content box and save $50 with promo code "PFT"
The idea that woman are being exploited and cheated out of $.20 every hour when compared to men is not just untrue…its dangerous rhetoric, there is no such thing as a gender wage gap, period! Playing victimhood is the path of least resistance for many Canadians and Americans alike who have failed to realize that the so called inequality they are seeing is the result of differing career choices rather than discrimination. In this video Dan Dicks of Press For Truth debunks the wage gap myth by exposing the circular logic that is utilized by anyone who falls for the myth and/or lie. Donate Other Cryptocurrencies ➜ https://pre..
Want to come to the Red Pill Expo this Jun.. These TEN Things I Hold To Be TRUE - Allow Me To Explain! 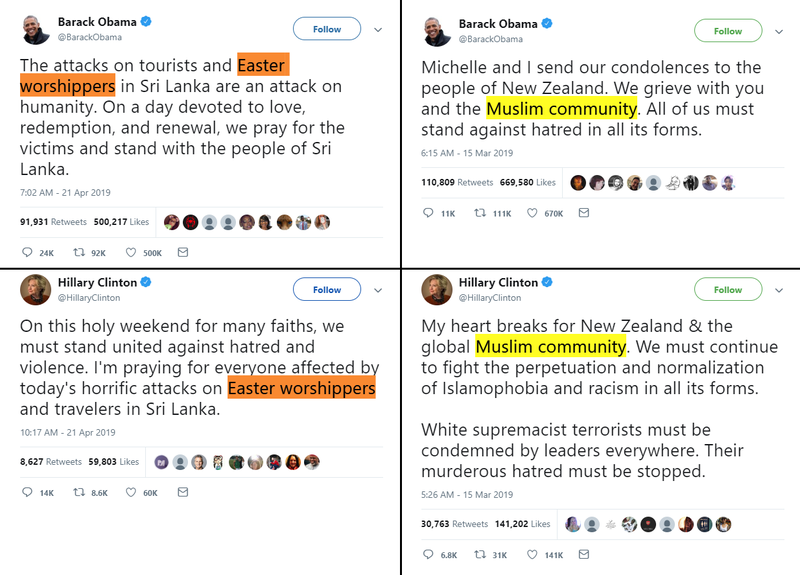 The Attempted BOMBING of GEORGE SOROS - What You NEED To Know! YouTube Censorship Is Instigating A Race War - What You Need To Know! Press For Truth - Smashing The Pyramid One Brick At A Time!